Add this dish to your weeknight repertoire for a great, one-pan meal with lots of veggies. 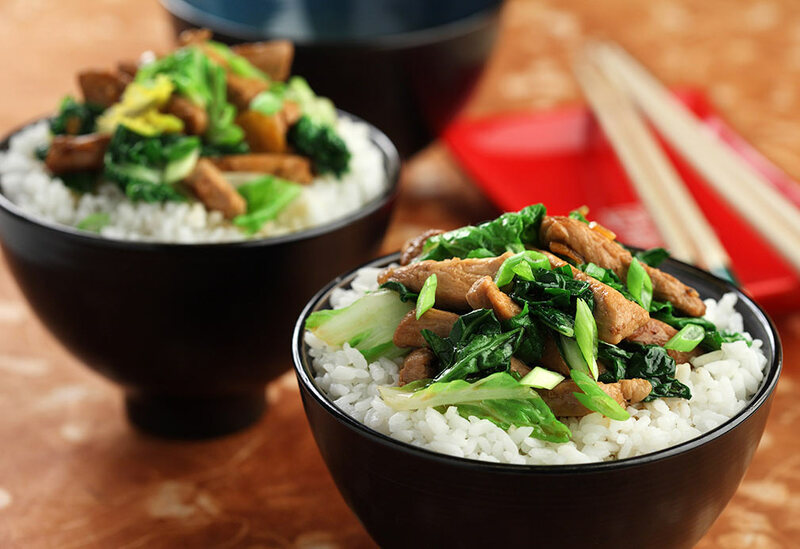 Canola oil’s neutral flavor and high heat tolerance is the perfect match for stir-frying. 1. 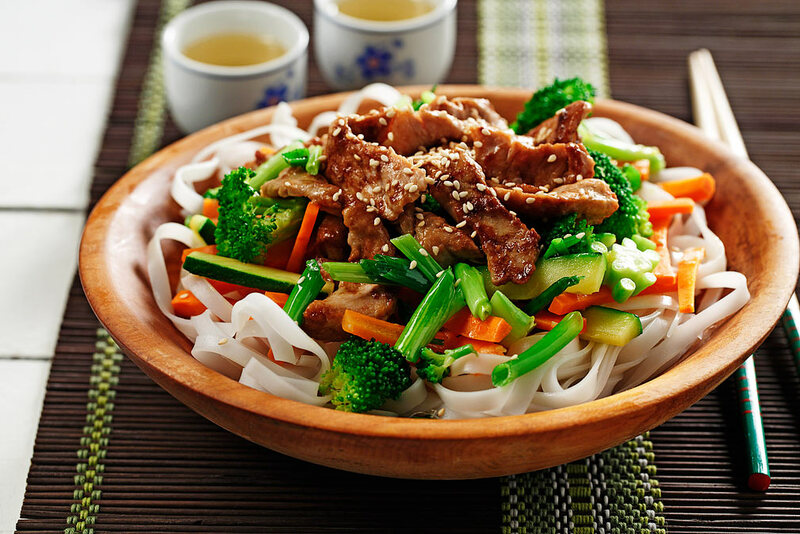 In large bowl, place noodles. Cover with warm water and soak for about 15 minutes. Drain and using kitchen scissors or a knife cut in to noodles into shorter lengths. 2. In another bowl, combine cornstarch, egg yolk, sesame oil and soy sauce. Add pork slices and marinate for about 30 minutes. 3. In skillet, add canola oil and sauté garlic, onion and ginger. Add carrots, zucchini and broccoli. Sauté for about 3 minutes. Add meat with marinade and sauté until meat is just cooked. Add soy and Sriracha sauces. Add noodles and stir to combine. Cook until noodles are heated through. Sprinkle with toasted sesame seeds. Serve. 1 1/4 cups (310 mL). Forget the Chinese takeout! This meal is just as delicious.